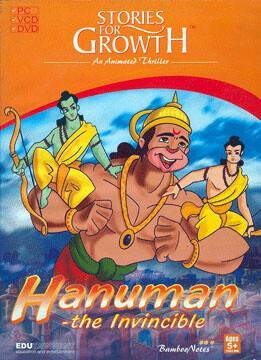 This disk presents the stories of Hanuman in a fully animated form. Children will thoroughly enjoy the stories and also gain an insight into the rich Indian culture as they imbibe the sublime messages of Valmiki's Ramayana. Plays on DVD player and also includes 5 interactive games for use on computer.